It wasn’t as cold last night but still chilly this morning. It was another beautiful fall day. It is also definitely the season for layers. You have to wear a jacket in the morning and a long sleeve shirt but only need a T-shirt by lunch time. Sharon did a great job with our devotion today helping us think about the differences in ministry and jobs. Sometimes we get so busy doing jobs that need to be done in our churches that we forget we really need to be in ministry. After devotion, we reviewed the progress made at each of the sites yesterday and made plans for today. Max, Anne, and Sharon returned to Jackie’s home to continue our work there. 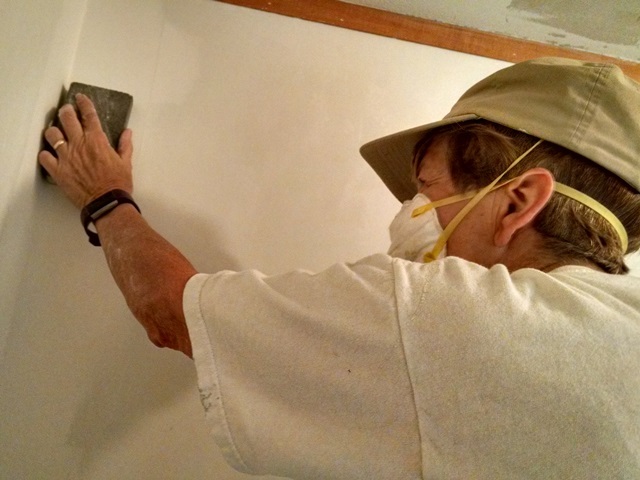 Bill, Ogie and Ginger worked at Sheryl’s and Bill and Larry returned to install a new door on the storage room at the house where there are working. 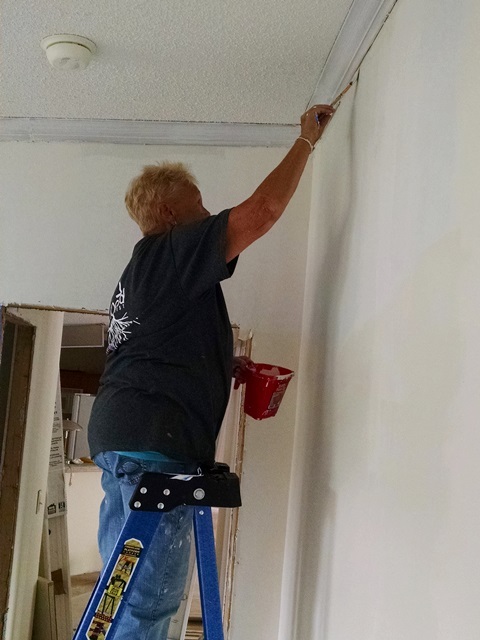 At Jackie’s today, Sharon was putting the top coat of paint in one of the bedrooms while Max continued working on electrical. 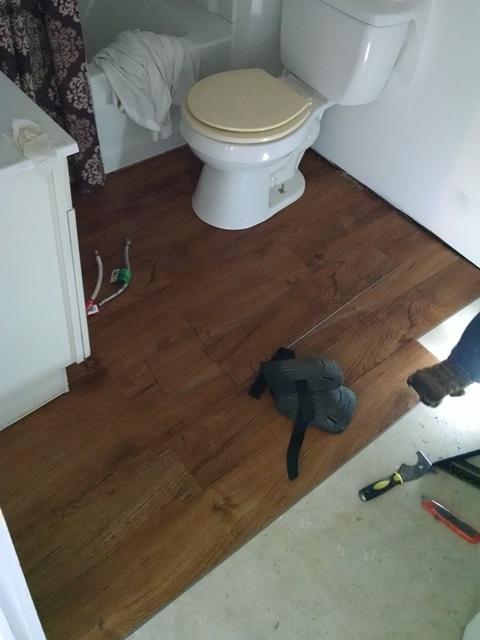 He has been reinstalling electrical outlets and switches and is close to finished. There is not a shortage of outlets in this house. It has been a challenge due to the difference in the way modular homes are built. 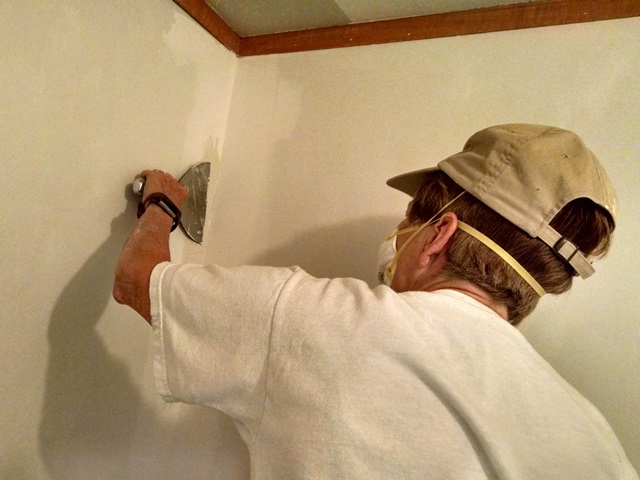 Anne removed a popcorn ceiling, repaired some sheetrock, and sanded some walls. Gary came over and helped Max partially install another door. That will have to be completed tomorrow. Again due to the differences in modular homes, all the doors have to be shortened. 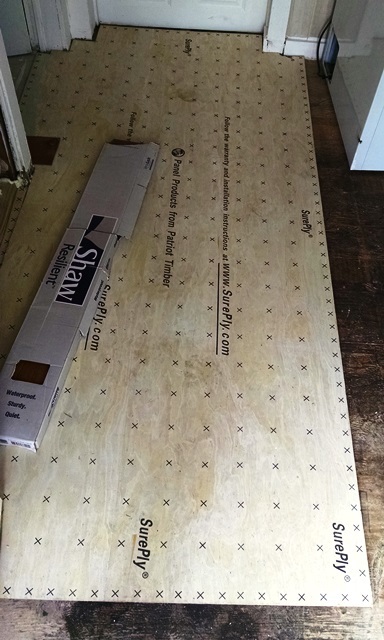 Since some walls are not standard thickness, there are even more challenges in installing doors in those openings. All in a days work. While we haven’t done our usual walking the past two days, we have walked more than 5 miles each day. Lots of steps up and down ladders and outside the get more tools from the truck and back inside to work and then back to the truck again. We still need to find a gym because there are no sidewalks here and the road in front of the camp ground is quite busy. There are a couple of trails, one along the river that we need to checkout but we have been too tired in the afternoons and it is too dark in the mornings for outside walks. Things are going well. Hope you are having a good week too.